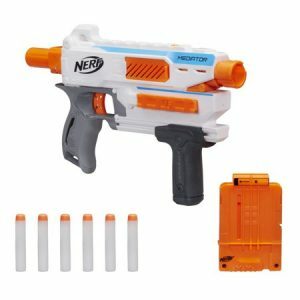 Score this , Nerf Modulus Mediator for only $9.98 !!! reg price $25 !!!! Kids can build the Mediator XL blaster with the Nerf Modulus Mediator Series. The series includes a blaster core, barrel, and stock (each sold separately). The Mediator core blaster fires 6 darts in a row with pump-action, clip-fed blasting. The clip loads into the side of the blaster and holds up to 6 Elite darts. Seiki 50″ 1080p 60Hz LED HDTV , for only $249.99 + FREE shipping or pickup!! reg price $370!!! CAP Barbell Rubber-Coated Hex Dumbbells, 10 LB Set of 2 for just $9.99 + FREE in store Pickup!!! reg price $30!!! Munchkin Backseat Organizer for only $7.97 + FREE in store Pickup !! Barbie Pioneer Woman Ree Drummond Cooking Accessory Set- BBQ for just $6.97 !!! reg price $10 !! !